Please note: The following is a guest blog post by Chad Hanson, a Project Director with Island Conservation, which received a $25,000 IGTOA grant in 2017 in support of its Floreana Island Restoration Project. 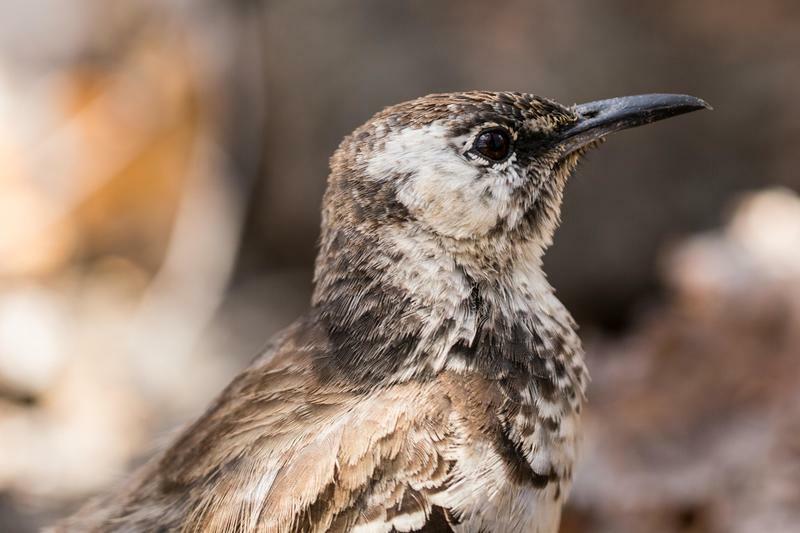 The project aims to remove harmful invasive species from Floreana Island, such as rats and cats, and to repatriate several iconic species that have gone extinct locally, including the Floreana mockingbird and Floreana giant tortoise. Floreana Island is the sixth largest island in the Galápagos Archipelago and lies 1,000 km off the coast of Ecuador. The volcanic island is a hot spot of biodiversity and was once home to a thriving ecosystem of endemic and native wildlife. The island was first settled in 1832. With human habitation came invasive species—including rats and feral cats—which quickly spread throughout the island. Today, due to the impacts of these invasive predators, native wildlife hangs in the balance. The International Union for Conservation of Nature lists 54 species that call this island home as threatened, and 13 native animals are locally extinct. Although initially it seemed as though the only solution would be to remove chickens from the island completely during the project, this was not practical for the local farmers. 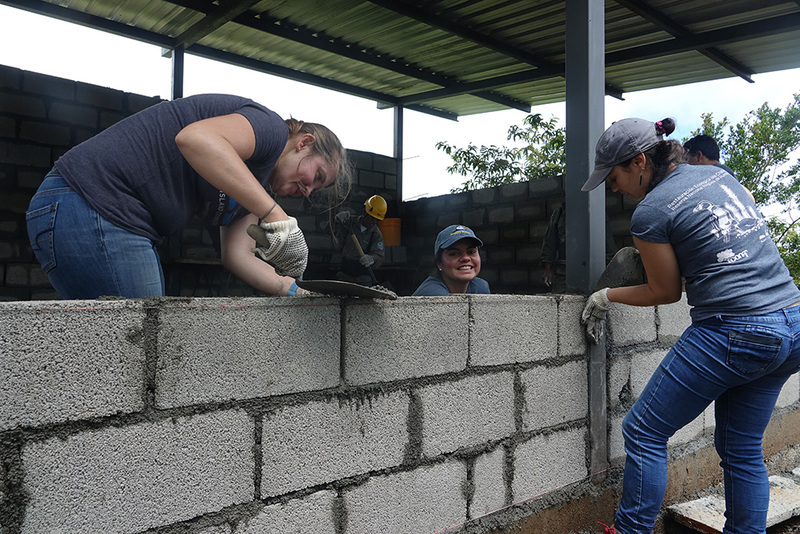 In working with the community, it became clear that there was only one solution: chicken coops. 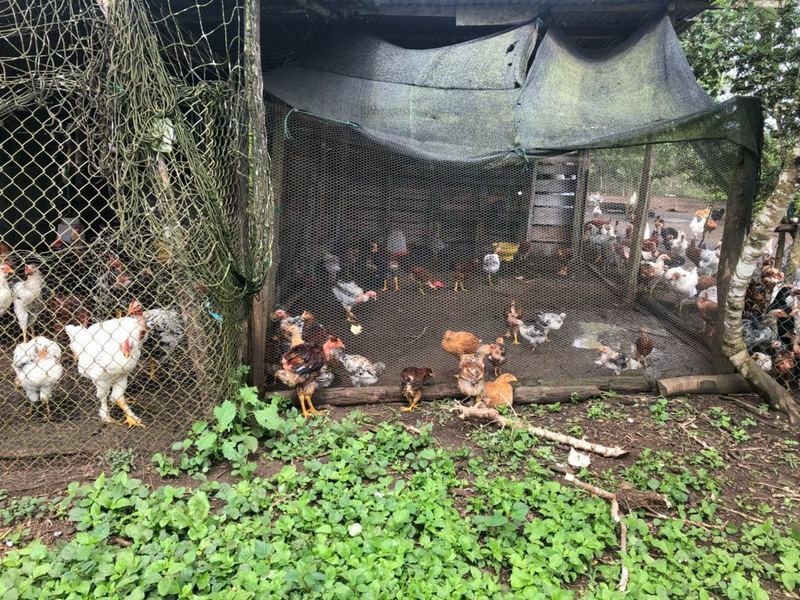 Chicken coops will protect chickens from exposure to bait during the project, increase egg and animal production for farmers, and ultimately decrease predation by native predators, which has been a problem historically. Additionally, with input from Floreana farmers, Island Conservation designed a long-lasting coop which can be expanded in the future. The team will produce a total of 17 chicken coops for the local farmers. Island Conservation, the Galapagos National Park, the Floreana community and other partners, with support from local and global organizations such as International Galápagos Tour Operators Association (IGTOA), are working toward building a more sustainable Floreana Island. The island community of approximately 140 individuals has witnessed firsthand the devastating impacts invasive rats and feral cats have on native animals, including iconic species such as the endangered Floreana mockingbird and the endangered Floreana giant tortoise, two species that are now locally extinct. Although protecting the island’s native species is the driving force behind conservation, the community has also had to face the impacts that invasive species have had on the economy. Tourism and local agricultural practices have been dramatically compromised by invasive species. The community is committed to making a positive change. Conservation, particularly on inhabited islands, requires the input and support of the entire community. Over the past few years, Island Conservation, with the help of our supporters and partners, worked with the community to define their vision of a sustainable, thriving Floreana Island. To achieve this vision, every invasive species must be removed from the island. Island Conservation, with support from International Galápagos Tour Operators Association, worked with community members to identify and mitigate the risks involved in removal of invasive species. In coordination with stakeholders and partners, we helped to create crucial action plans for protecting livestock and the local water source during implementation. One of the key community concerns identified a seemingly simple question: how do you protect chickens from unintentional contact with bait during the operation? Another concern for the local community is domestic cats, which—just like feral cats—threaten native wildlife on the island. To protect native wildlife, Island Conservation, with support from International Galápagos Tour Operators Association and partners, is working with the community to encourage and foster a culture of responsible pet ownership. Island Conservation Project Director Chad Hanson, B.S., has worked on a suite of invasive mammal eradication projects for the last 15 years. He has extensive experience in assessing feasibility, developing plans, budgeting, implementing and confirming the eradication of a suite of species—including feral goats, cattle, horses, buffalo, cats, macaques, rabbits and rodents—in several countries. Before joining Island Conservation, Chad played a predominant role in the world’s largest goat removal on Santiago Island, Galápagos, applying his management and training skills to a team of over 40 field staff. He co-chairs Island Conservation’s Eradication Advisory Team and has led the development of Island Conservation’s internal project management process.